This report examines the outcomes on various domains of development (cognitive, social emotional) of children with attachment disorders as well as internal working models of attachment, conditions of insecure attachment, information regarding Reactive Attachment Disorder, and implications of early attachment experiences on adult relationships. The overarching goal of this paper is to provide an overview regarding the ways in which early attachment experiences influence an individual’s development throughout the various stages of life. Understanding attachment patterns provides key insight into relationship dynamics as well as the social-emotional and mental facets involved in human bonding experience. Connecting the theories and early work on attachment styles is important for a comprehensive understanding of a patients’s relationship patterns as well as the formation and relationship a person has with one’s self. Attachment is a term used to describe the dependency relationship an infant develops toward his or her primary caregivers (Pearce, 2010). Infants form attachments to those who show physical and emotional care on a continuous basis. It is through daily interactions with caregivers that infants form beliefs, or working models about self, others, and the world (Frederick and Goddard, 2008). Attachment disorders typically form in infancy and early childhood as a result of instability in the child-caregiver relationship. The study of parent-child attachment styles was brought to attention by the work of John Bowlby and Mary Ainsworth. Bowlby’s theory stated that both infants and caregivers are biologically predisposed to form attachments. The ability to cry, make sounds, and later crawl and walk, are inherited mechanisms that serve the purpose of keeping the primary caregiver nearby and eliciting attachment behaviors (Santrock, 2009). Bowlby argued that infants develop internal working models of attachment based on their relationship with their caregiver and their self being in need of nurturing care and having those needs met. In the 1970s, Mary Ainsworth introduced the ‘strange situation’ as a measure of the various attachment styles between infants and their caregivers. The strange situation involves the infant and caregiver being separated and then united along with introduction to an adult stranger in a set order. Based on how babies respond in the strange situation, they are described as being securely attached or insecurely attached. There are three types of insecure attachment: resistant, avoidant and disorganized. Babies and young children show insecurity by avoiding the caregiver, specifically, if they have little interaction with their caregiver and show no signs of distress when she leaves the room. When the mother returns during the strange situation, avoidant babies do not reestablish contact and might even turn their back or look away (Santrock, 2009). Resistant babies, by contrast, cling to their caregiver and then show resistance by fighting against closeness; pushing away from the caregiver. In the strange situation, resistant babies cry loudly when the caregiver leaves and then push away when she tries to comfort them on return. Disorganized infants are disoriented. In the strange situation, they appear dazed, confused, and often fearful. They show strong patterns of avoidance and resistance, and/or extreme fearfulness around the caregiver (Santrock, 2009). "Attachment disorder stems from a lack of bonding and security between the child and caregiver in infancy... Insecure attachments take place when the caregiver is inconsistent in responding to their infant's needs. The infant becomes unsure of what to expect of themselves, others and the world..."
The biological function of the attachment bond between a parent and a child is protection because the attainment of proximity to a more powerful other increases the chances of individual survival (Bowlby, 1973). In the earliest stages of development, emotions are diffuse and infants have little control over their behavioral expression, relying instead on the dyadic regulation provided by their caregivers’ responses to behavioral signals (Riggs, 2010). One study that highlights insecure attachment findings involves twin babies who experienced a stress induced early environment. Within a 21-month period, between 6 and 27 months of age, the twins were moved 11 times, placed in a total of ﬁve different foster homes, and eventually adopted by relatives. The twins exhibited many concerning behaviors. Neither twin demonstrated preferred attachment behaviors with either their biological parents or their foster parents. Moreover, when the twins were separated from their parents during evaluation procedures, both showed strong indications of disorganized attachment upon reunion (Heller et. al., 2006). “for Claire, the sequence consisted of extreme inhibition as an infant, controlling behavior as a preschooler, and conduct symptoms with affective disengagement and peer relationship problems as a school aged child. Bobby was socially indiscriminate as an infant, self-endangering as a preschooler, and had impulsivity and attention difficulties at 8 years of age” (Heller et. al., 2006). Life stressors from early neglect to later family discord may have impacted each child differently, perhaps due to differences in temperament. The narrative measures are helpful in tracking how early attachment disruption is associated with later expectations about relationships (Heller et. al., 2006). The creation of a narrative in therapy is used to re-write traumatic experience using either the Trauma-Focused Cognitive Behavioral Therapy (TF-CBT) model or eye movement desensitization and reprocessing (EMDR) model depending on the child’s needs. The child is encouraged to talk about the traumatic event, and describe his or her feelings and thoughts about the event as the therapist writes or types the information. The goal is to separate thoughts and/or reminders of the traumatic event from the overwhelming negative feelings, such as extreme fear, helplessness, and shame or rage (Cohen, Mannarino, & Deblinger, 2006). Attachment disorder stems from a lack of bonding and security between the child and caregiver in infancy. Infants whose attachment figures are consistently accessible, responsive and understanding form secure attachments, that is, they form positive representations of themselves, others, and the world as their needs are consistently met. Insecure attachments take place when the caregiver is inconsistent in responding to their infant’s needs. The infant is unsure of what to expect of themselves, others and the world when there is neglect in care, or inconsistency across attachment figures (Pearce, 2010). Along with the types of insecure attachment, a more severe condition, Reactive Attachment Disorder, occurs when a baby experiences extreme neglect and emotional and physical distress. What distinguishes attachment disorder from other mental disorders of childhood and adolescence is that their presentation stems from a combination of prescribed historical, biological, developmental, and attitudinal factors (Pearce, 2009). Attachment-disordered children typically have experienced abusive or neglectful care, multiple changes between caregivers and environments, or the sudden loss of a parent or parents (Pearce, 2010). Negative attachment representations are thought to develop when there is limited accessibility to a consistent caring adult (e.g. orphanage), where the caregiver lacks basic parenting skills and knowledge, or in cases of parental mental disorder, substance abuse or domestic violence. In chaotic environments such as these, young children have to find some form of control over their uncaring, frightening world, so they develop the view that they are the only reliable element in their environment and in order to get their needs met and feel safe, they need to take control. American Psychiatric Association. (2000). Diagnostic and Statistical Manual of Mental Disorders (4th ed., text rev.). Arlington, VA: APA. Aideuis, D. (2007). 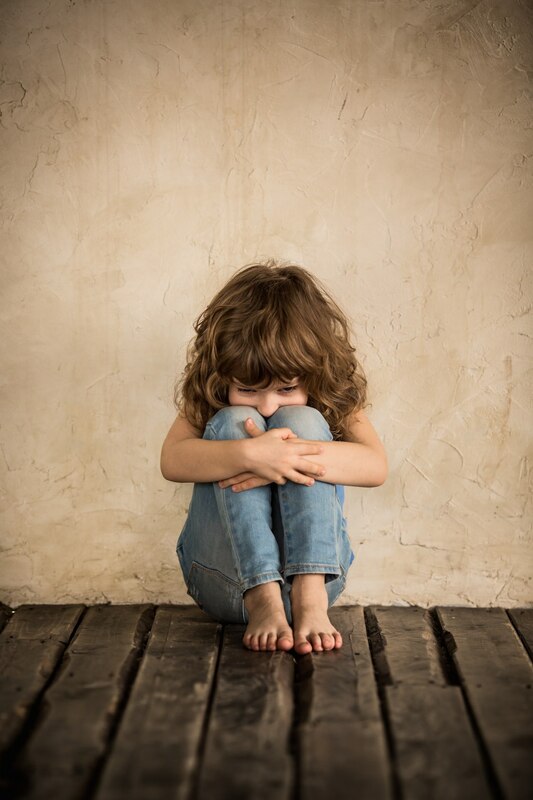 Promoting attachment and emotional regulation of children with complex trauma disorder.International Journal Of Behavioral Consultation And Therapy,3(4), 546-554. Chambers, H., Amos, J., Allison, S., & Roeger, L. (2006). Parent and Child Therapy: An Attachment-Based Intervention for Children With Challenging Problems.ANZJFT Australian And New Zealand Journal Of Family Therapy,27(2), 68-74. Hardy, L. T. (2007). Attachment Theory and Reactive Attachment Disorder: Theoretical Perspectives and Treatment Implications.Journal Of Child And Adolescent Psychiatric Nursing,20(1), 27-39. doi:10.1111/j.1744-6171.2007.00077. Pearce, C. (2010). An integration of theory, science and reflective clinical practice in the care and management of attachment-disordered children: A Triple-A approach.Educational And Child Psychology,27(3), 73-86. Pickover, S. (2002). Breaking the cycle: A clinical example of disrupting an insecure attachment system. Journal Of Mental Health Counseling,24(4), 358-366. Santrock, W. J. (2009). Life-Span Development Twelfth Edition. New York, NY: McGraw-Hill. Skourteli, M. (2011). The therapeutic relationship from an attachment theory perspective.Counselling Psychology Review,26(1), 20-33. Nasreen S. Shah graduated in 2018 with a PhD in Psychology from Washington State University in Pullman, WA.